SNC-Lavalin Group Inc.’s Chief Executive Officer and President Neil Bruce says he never spoke to Prime Minister Justin Trudeau about potential job losses if a deferred prosecution agreement (DPA) was not reached with his company. “I’ve never talked to the prime minister about a DPA or about jobs,” Bruce told BNN Bloomberg’s Amber Kanwar on Wednesday. “To the Prime Minister’s Office, we have lobbied, as you would expect a CEO or the company to do,” he added. Bruce insisted that he never said 9,000 jobs would be lost without a DPA from the federal government. The Quebec-based construction giant at the centre of a political firestorm on Parliament Hill faces fraud and corruption charges related to business dealings in Libya in the early 2000s. If found guilty, SNC could face a 10-year ban from winning contracts from the Canadian government. The decision of whether to prosecute SNC was at the heart of former attorney general Jody Wilson-Raybould’s explosive testimony in late February, where she alleged that she received “veiled threats” from the Prime Minister's Office, the Privy Council Office, and Finance Minister Bill Morneau's office to not pursue criminal prosecution of SNC. Wilson-Raybould stated during her testimony that “the prime minister again cited the potential loss of jobs and SNC moving," during a Sept. 17 meeting regarding the handling of the company’s potential prosecution. Bruce also adamantly denied in his interview with BNN Bloomberg that he threatened to move the company’s headquarters from Montreal. “I don’t know what people make up, or what they have in their minds,” Bruce said, when asked about media reports alleging SNC threatened to relocate. Bruce added that 82 per cent of the company’s investors are Canadian, and that SNC’s investment partnership with the Caisse de dépôt et placement du Québec was crucial to the company’s acquisition of U.K.-based WS Atkins Plc. However, Bruce said that some of the 9,000 Canadian jobs at his company are in jeopardy without a resolution to the company’s ongoing scandal in Ottawa. “We’re in a place here where it’s not just about 9,000 jobs,” Bruce said. Amanda Lang: Are 9,000 jobs actually at stake in the SNC case? BNN Bloomberg's Amanda Lang looks at what the actual impact on Canadian jobs could be if SNC-Lavalin isn't granted a deferred prosecution agreement as the political firestorm over the case continues. 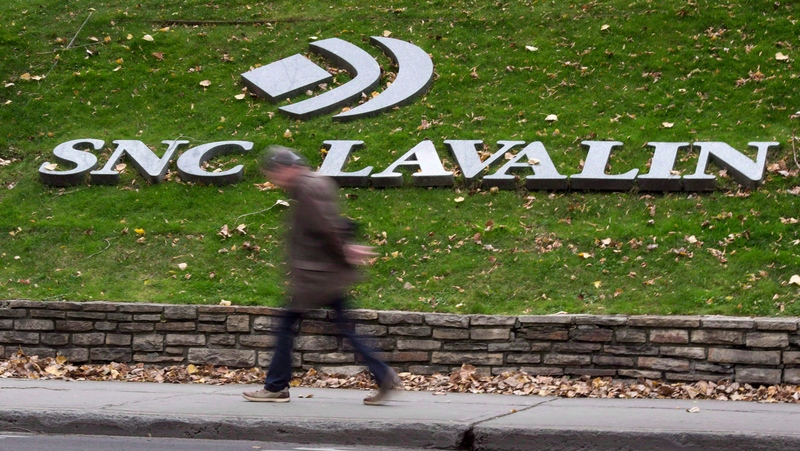 In its 2018 management discussion analysis released in December, the company stated that its board has established a committee to “consider options that would protect value for SNC-Lavalin stakeholders." Bruce said that the company would keep its options open when asked if this could mean spinning off pieces of the company to insulate some of the more troubled areas of the company’s business. “We are looking at every single option, because at the moment we believe that … the company is undervalued,” he said Wednesday. Bruce said that the company is not hanging its future on the outcome of the DPA, adding that the furor over the company’s role in the scandal is purely political. Several of Prime Minister Justin Trudeau’s top aides have resigned or retired in the weeks since Wilson-Raybould’s testimony, including Treasury Board President Jane Philpott, Trudeau’s Principal Secretary Gerald Butts and Privy Council Clerk Michael Wernick. Philpott, who resigned from her post earlier this month, told Maclean's magazine in an interview published Thursday that there's "much more to the story that should be told." The Conservatives have ratcheted up calls for Wilson-Raybould to be given another chance to testify, despite the Liberal-dominated justice committee pulling the plug on a probe into the SNC affair on Tuesday. Conservative MPs responded with outrage during Morneau’s presentation of the 2019 federal budget on Tuesday, drowning out the finance minister’s speech in the House of Commons with chants of “Let her speak!” and raucous noise. “This is an election year,” Bruce said of the uproar in Ottawa, adding that SNC employees are getting caught in the middle.